Hospice Isle of Man provides free services for over 350 patients a year, the cost of which is mostly covered by fundraising events and regular donations. Their marketing team approached me about designing a new tote bag to be sold in the Hospice charity shops; the proceeds of which would go right back into patient care. 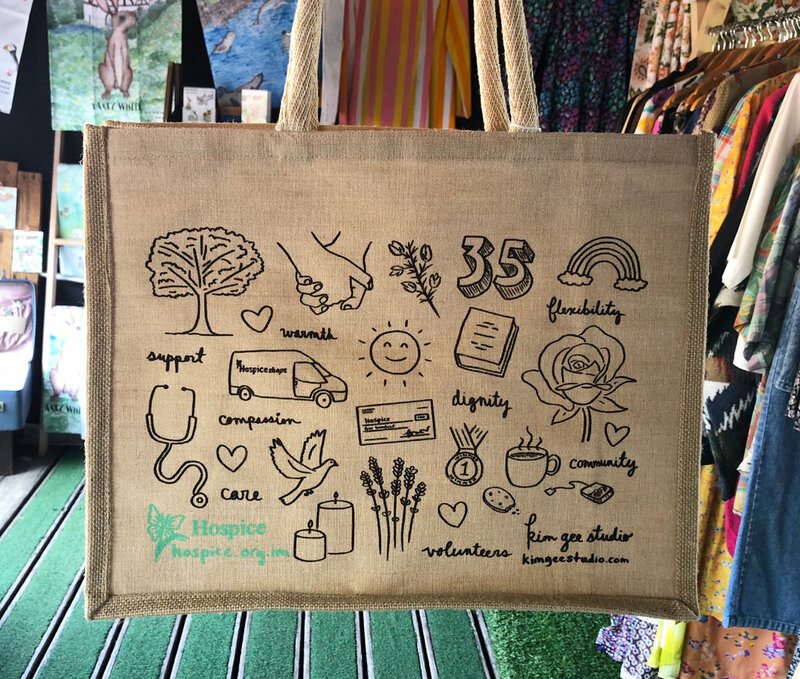 I created a custom illustration that encompasses the work of the Hospice, which was then printed on to tote bags and a big ol' gazebo used for fundraising efforts. It was such a pleasure to work with the team at the Hospice, and an honour to support them in this way. I hear the bags are selling like hot cakes, and seeing them take over a shop window was a real thrill!